BCNI can help you troubleshooting your PC, internet, network set up and more via remote connection. Our prices are affordable and we are dedicated to bring you the best IT support services. Our IT support specialists have many years of experience and can help you with any IT issues that can jeopardize your business. BCNI has an very experienced team which can offer you a fresh approach to solving IT issues. With BCNI IT technical support services you get greater and more personal problem solving and technical support than you would receive from your ISP, as ISP’s can be large companies with many clients to provide customer service to. Our IT support services are designed for either customers who don’t have an expert in-house IT support function, or those that wish to compliment their existing teams. With BCNI’s IT support services we can manage day-to-day IT systems and provide long-term advice regarding IT-related business issues. If you choose to use BCNI IT specialists to help you set up or troubleshoot any technical related issue, generally you will find that our skilled IT specialists can manage almost any technical issue. 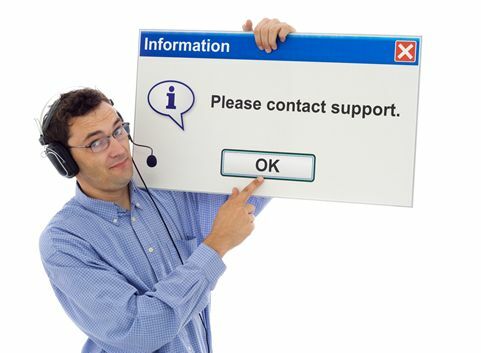 Upon choosing BNCI as support company, you will be able to present any problem to our IT specialists, and the problem will be solved. BCNI provides technical support and performs regular health check, to ensure your office PC’s longevity and working functions. Health check can include virus scanning and removal, checking and cleaning corrupt files, HDD scanning and optimization, advices on internet security, virus software updates, detection and removal of adware and spyware. Our IT support specialists can manage and maintain your business online network according to your budget or preferences. We are flexible and we can work with you in whatever capacity makes sense for your business. BCNI can save you time and money when getting connected to the internet, most of BCNI it specialists can provide quick and safe solutions and the benefit of dealing with just one IT specialist. BCNI can also provide setup router or modem, security setup, web browsing, an ISP speed test or PC setup. All of our IT support packages are customized to fit your needs so that you can worry less about IT and spend more time running your business. Small, medium or large businesses can fare well in today’s tough economy by outsourcing their IT needs to our support services. Our IT support specialists can purchase, set up, install or maintain your entire network, from the servers to the PDA’s. BCNI’s IT support specialists can integrate everything for seamless information transfer between all of your devices. BCNI offers personalized technical support, troubleshooting and more, choose a skilled BCNI IT specialist to take away all the troubles that you encounter with technical and PC issues. Get a technical support specialist from BCNI which can provide you with a wide range of pc troubleshooting solutions. BCNI is structured to incorporate a diverse range of pc related issues and setup, installation and upgrade needs. Get IT specialists, technical support and great customer services from BCNI in Oakville, Burlington and Mississauga.